I used to draw Lord of the Rings characters a lot. Then the movies came out and fullfilled every artistic question I had. I haven't drawn anything from it since. 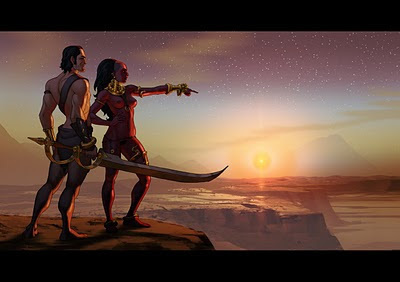 Knowing that a Pixar version of John Carter of Mars is coming, I figure I might as well get my drawings out now.